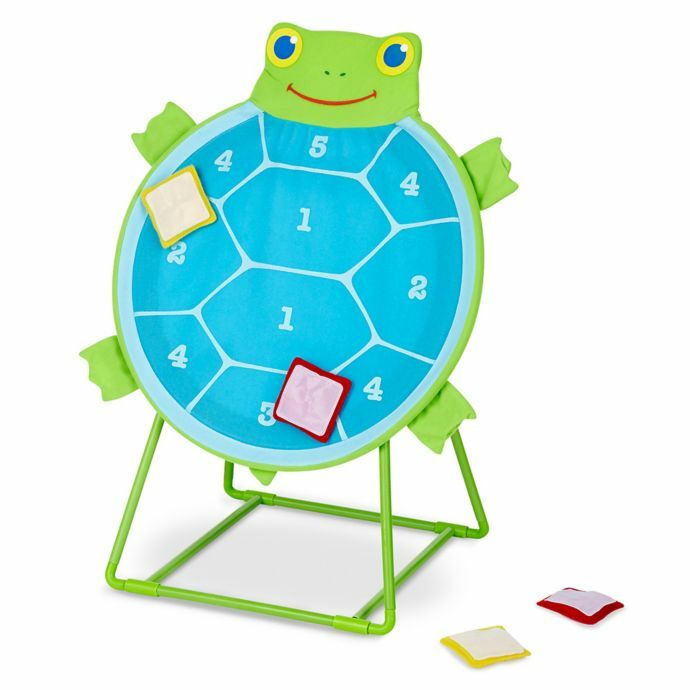 Pick a team--red or yellow--and take turns tossing the self-sticking beanbags at the turtle-shaped fabric target with numbered sections. Ideal for individual play, too. 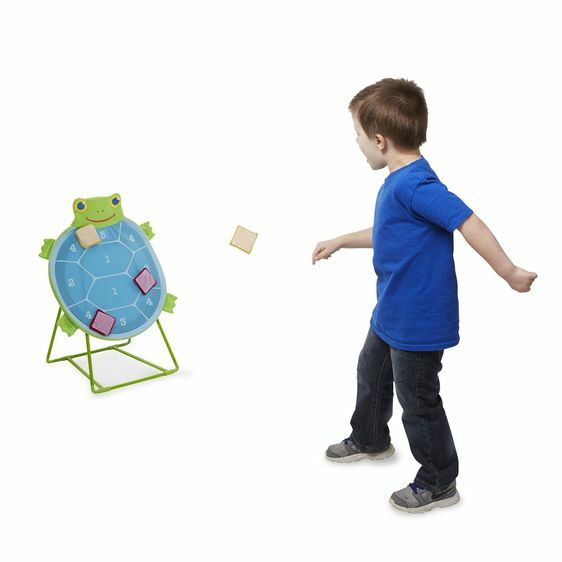 Durably constructed for use either indoors or outside, the non-wobbling metal base and a smiling Dilly Dally turtle face make this an exciting and inviting way for kids three and older to learn simple addition and practice hand-eye coordination.